You'll explore the less-touristy side of things at Gros-Horloge and Prieure de Longpre. Satisfy your inner culture vulture at Historial Jeanne d’Arc and Eglise Saint Germain. Explore Paris' surroundings by going to Chateau de Fontainebleau (in Fontainebleau), Rouen (Rue du Gros-Horloge & Cathedrale Notre-Dame de Rouen) and Chartres Cathedral (in Chartres). There's still lots to do: explore the historical opulence of Chateau de Chamerolles, contemplate in the serene atmosphere at Orléans Cathedral, take a stroll through Trocadero, and head off the coast to Ile Saint-Louis. To find traveler tips, maps, photos, and more tourist information, go to the Paris road trip tool . If you are flying in from United States, the closest major airports are Paris-Orly Airport, Charles de Gaulle International Airport and Paris Beauvais Tillé Airport. 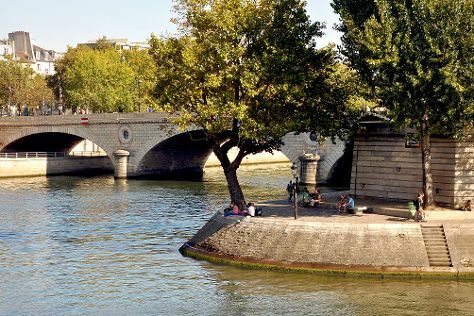 In July, daily temperatures in Paris can reach 79°F, while at night they dip to 60°F. Cap off your sightseeing on the 12th (Fri) early enough to travel back home.